When Citroën showed the way but the industry was too dull to follow. For all-out minimalism, the TPV prototype of the Citroën 2CV is hard to beat but, since then, Citroën have produced some of the most adventurous dashboards. Throughout its twenty year life, the DS dashboard went through various iterations but, in its first instance, it was as modern as the outside. The least successful DS dash was the length of plywood fitted to the fascia of some of the upper range Slough built UK cars, on the assumption that Brits must have wood, however cack-handed it looks. 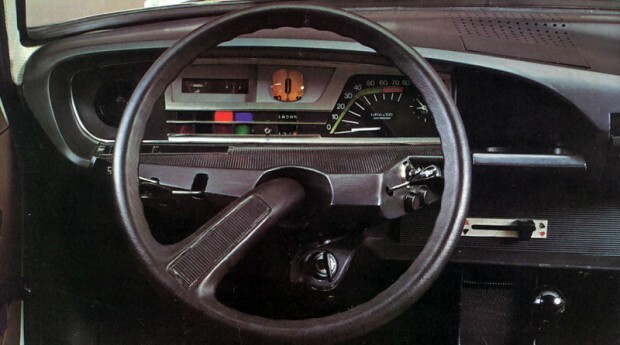 Generally however the DS dashboards remained good looking, though they became more conventional in old age. 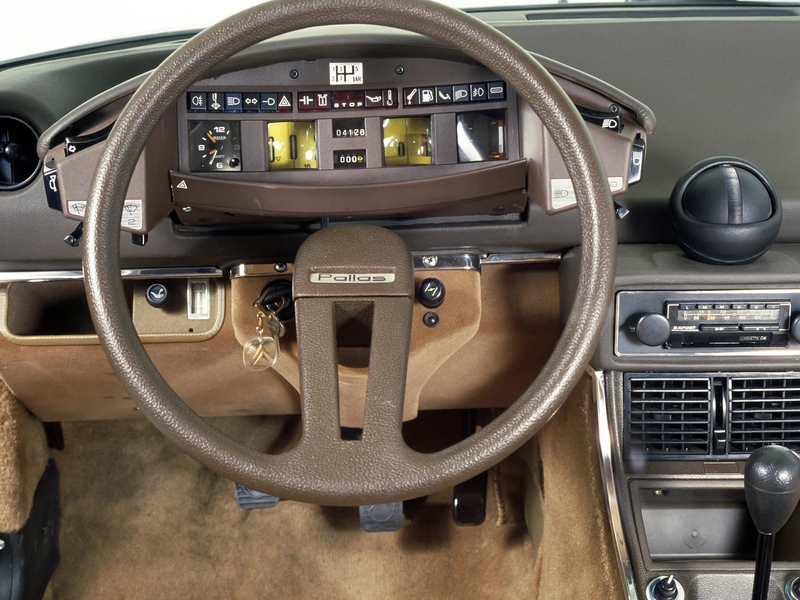 The car ended up with a rectangular crackle finished dash, strangely contrasting with the swoopy dashboards featured on the GS and SM that were being introduced around the same time. 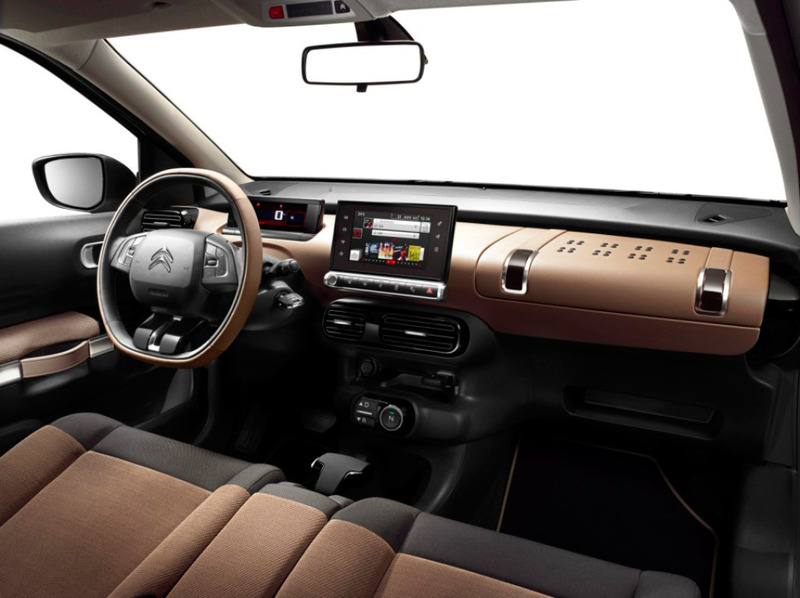 We now enter Citroën’s Golden Age for dashboards. The GS and the SM, launched within a year of each other, took the swoop of the original DS’s dash still further. For speedometer and rev counter, the SM used conventional circular needle gauges, though made slightly more striking by being in oval housings, the oval motif being repeated by the warning lights, the steering wheel and the air vents. Three discreet cylindrical needle gauges showed fuel and oil and water temperatures, but general monitoring was carried out through the large warning light group. The GS had a similar curve to its dash, though necessary cost considerations are more apparent in its construction. However, not having to worry about alienating a well off, middle-aged clientele, the GS’s instruments were rather more ambitious, introducing the controversial ‘cyclops eye’. Without resorting to cold cathode tubes, Citroën’s speedometer was the nearest to a digital readout as they could get at the time. It seemed both futuristic and strangely archaic, being something you might have found on Jules Verne’s Nautilus. The brightly lit cylindrical gauge turned on a vertical axis in front of a magnifying front glass with a fixed needle. Needless to say, it was felt that the conservative Brits would find all of this a bit scarey, so a lash-up with circular gauges was produced for the first right-hand drive cars. The problem with measuring speed for road users, who must obey regulations, is that they need to see speed coming. 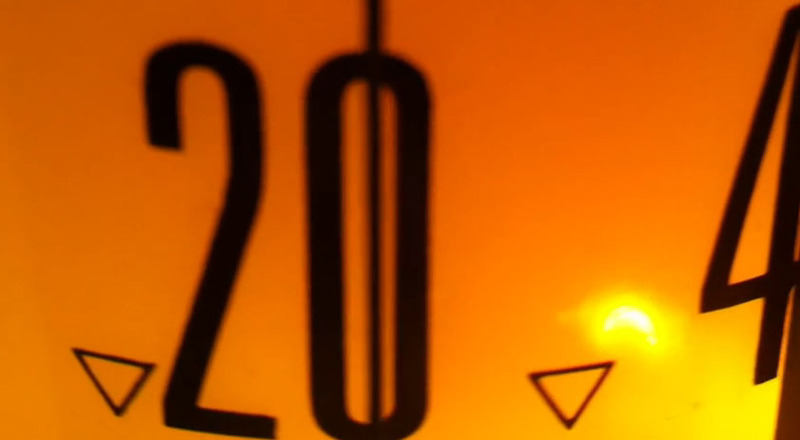 A needle on a circular gauge shows you, at a glance, that you are close to the legal limit, in the way that reading ‘29′ off a modern digital speedo does not. With Citroën’s set-up, you got an idea of approaching figures but, perhaps, it was as fun as it was practical. 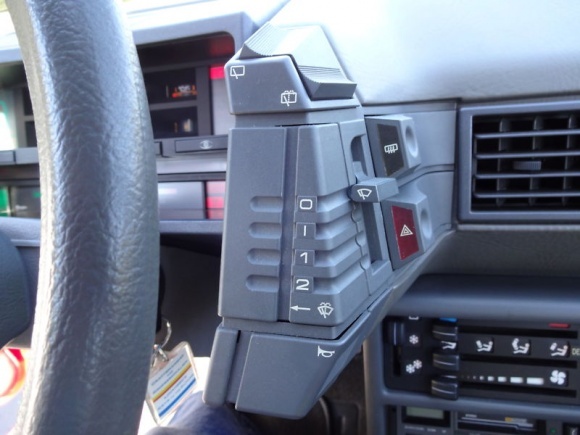 Truly practical were the satellite controls that started being developed with the next of Citroën’s cars for the Seventies, the CX, the last Citroën designed whilst the company was effectively independent. The intention was that all essential controls could be operated whilst keeping your hand on, or in close proximity to, the steering wheel. As with other aspects of the car, the interior of the CX should have shown the way but, somehow, the rows of identical push buttons set into blank grey fascias offered by other less creative manufacturers won out. Once they fell into the hands of Peugeot, Citroën’s innovation didn’t cease straight away. The satellites were further developed for both the first Visa, the GSA and the BX. These looked odder and, in the case of the first two, less well integrated than the CX’s, but that was for a good reason. They were both practical and intuitive, a fact confirmed by most reviews of the time. The main criticism, as usual, being Citroën’s dogged refusal to fit self-cancelling indicators. They should have set an ergonomic standard for other manufacturers to follow, and the fact they didn’t says more about the torpidity of the motor industry than Citroën’s undeserved reputation for being too clever for its own good. However this sort of thing was an obvious target for the costcutters at PSA and, by time the facelifted versions of both Visa and BX were released, Peugeot had put their penny-pinching foot down and conventional stalk controls took their place. The first XM dashboard retained some character, though no great innovation. That of the Series 2 XM, whilst probably more solid, could have come from anywhere. From here on, Citroën sank to its lowest phase. Don’t ask me to describe a Xsara dashboard to you, I think I have seen one and it probably did its job, but I don’t care. Then came PSA’s belated decision to reclaim Citroën’s ‘créative’ past, long after the horse of inspiration had actually bolted or, to labour the metaphor, been sent to the knacker’s yard. So individual, containable ideas were developed to be fitted to otherwise ordinary cars. 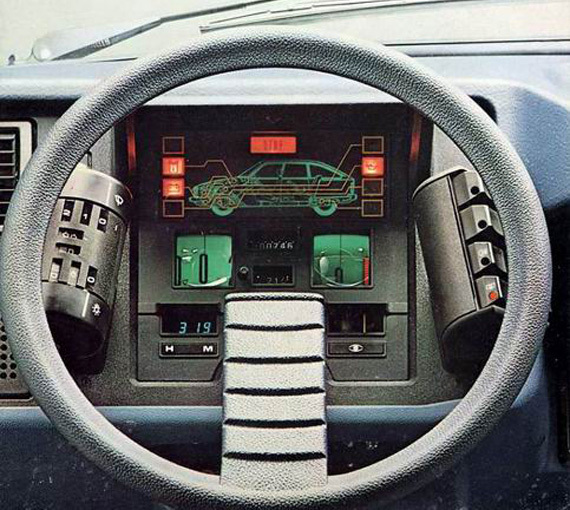 The first Series C4 showcased the fixed instrument centre, centreing a series of controls diectly in front of the driver. This seems like a fair enough idea to me but the current generation C4 has let it slip. Was this poor reception from customers, or was it the decision to downgrade the C series of cars in order to make the DS series look more exciting than they actually are? The Picasso version of the C4 also introduced a column control for the auto gearbox which is redolent of the DS’s shift and also seems very sensible. Bringing things up to date we have the Cactus, the latest iteration in Citroën’s attempt to ponce off its past without spending too much of PSA’s dwindling reserves. On first view this excited me as a return to a Citroën that, even though technically conventional, had some flair. The dash has a modular look to it, suggesting folding or detachable elements but, like the irritating habit of sewing buttons onto clothes where there are no buttonholes to correspond to, this is just superficial. Sitting in a Cactus interior is not as rewarding an experience as looking at a photo of one. 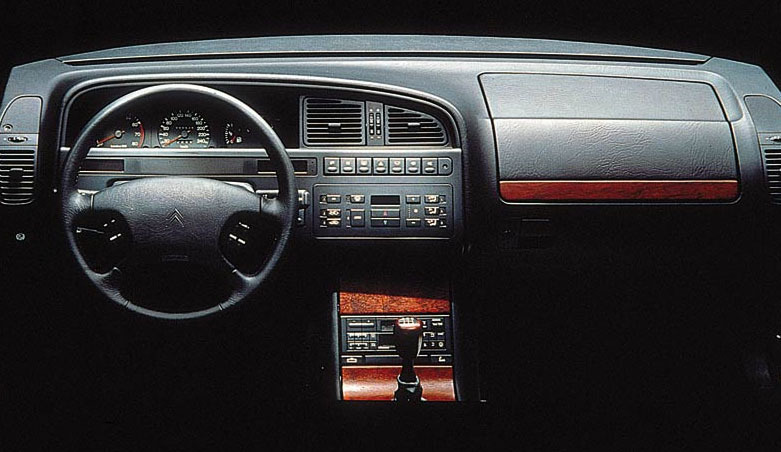 If I had a favourite Citroën interior, it would be a Series One CX, with the outrageous spherical ashtray, an item that even gives this non-smoker pleasure.